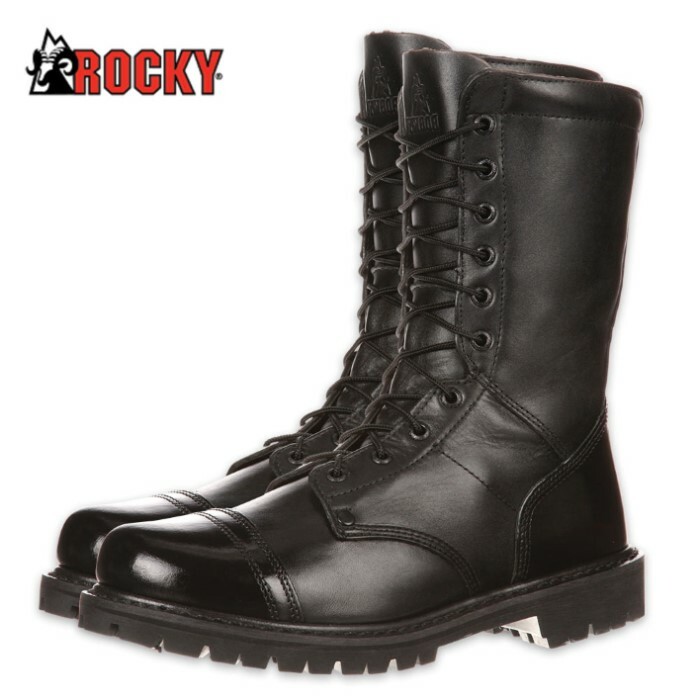 Rocky Mens Jump Boot | BUDK.com - Knives & Swords At The Lowest Prices! When you have a mission to complete, your choice of footwear cannot stand in your way! You need to wear the best to perform the best. The Rocky Men’s Jump Boot, designed and built by the world leader in active footwear, will withstand the most unforgiving conditions. 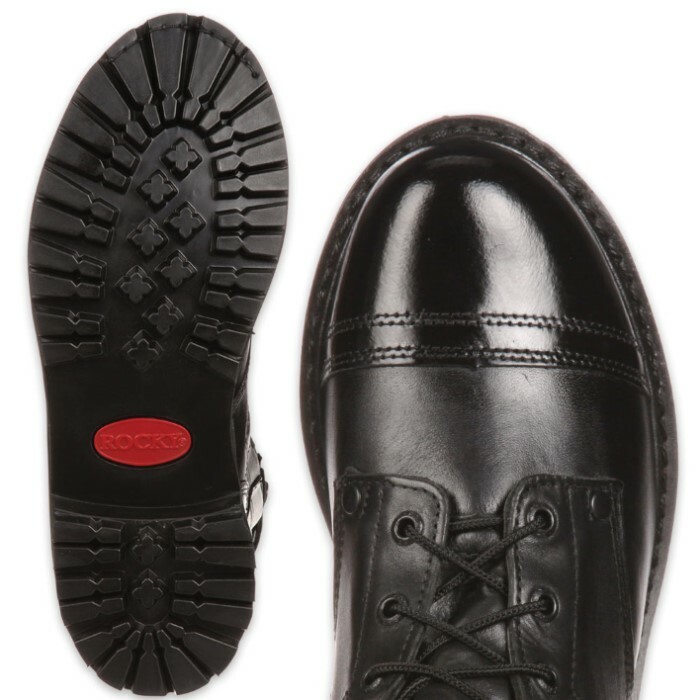 It was built with full-grain leather and features a polishable toe that allows you to keep it looking great. The Goodyear welt construction enhances the boot’s overall durability, strength and stability. With this construction, it can be repaired with no trouble and it will revert back to its original hardiness. The boot has an EVA foot-bed that is extremely lightweight, contoured and it supplies cushioning that will ease the weight you put down onto your foot. A non-metallic stabilizer ensures that you have steady footing and you will not have to remove your footwear or be delayed around scanners or sensitive equipment. 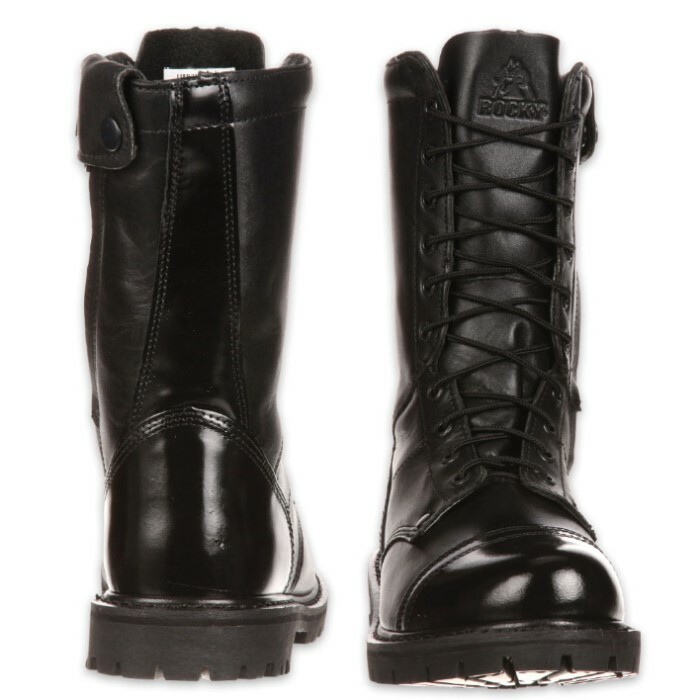 The black rubber lug outsole provides dependable traction and there is also a side zipper that makes it possible to get the boot on and off easily. It comes in sizes 8, 9, 10, 11 and 12.